To improve water quality and to protect and restore the fish and wildlife resources of the Indian River Lagoon, coastal waters, inshore reefs, and the watershed by advocating and using sound science, education and the involvement of the public at large. Marine Resources Council successfully coordinated the Lagoon Action Assembly that involved over one hundred community leaders in facilitated discourse about the crisis we are facing with the collapse of the Indian River Lagoon. 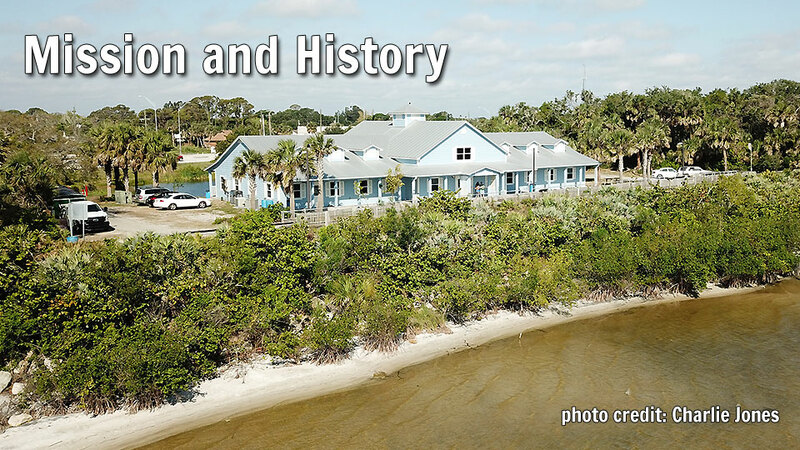 In 1983, a group of Florida Tech professors convened to determine what could be done to reverse the negative impacts that were happening to the Indian River Lagoon through citizen science and engagement. They decided to create a 501 c (3) organization devoted entirely to protecting and restoring the Indian River Lagoon through sound science. This organization became the Marine Resources Council (MRC). In 1988, MRC launched a comprehensive, state-approved citizen science water quality monitoring program called LagoonWatch and three years later, the project earned the esteemed President’s Environmental and Conservation Challenge Award Medal. Today, LagoonWatch has partners throughout the lagoon and nearly 100 citizen’s collecting and analyzing weekly water quality data. It serves as one shining example of MRC’s citizen-driven mission that strives to guide policy and action with science. Over the years, MRC has evolved into a multi-faceted organization, adding many more programs and initiatives. MRC purchased the first conservation buffer lands along the lagoon to protect wetlands, and we still manage those lands today. We grow and plant native shoreline and wetland plants, working with community groups of all ages. MRC volunteers are measuring muck to inform dredging priorities, collecting groundwater samples to guide wastewater retrofits, and capturing aerial imagery to test cutting-edge measurement sensors. We inform and advocate, working at all levels to engage the community in behaviors that will have a positive impact on the lagoon. MRC is governed by a diverse Board of Directors voted on annually, and advised by a group of dedicated scientists. MRC operates and manages the Ted Moorhead Lagoon House, which offers interactive indoor and outdoor educational exhibits for kids and adults of all ages and regular educational workshops. MRC moved into the Lagoon House in 2004 after Ted Moorhead spearheaded a proposal to the City of Palm Bay to construct an education center on the side of the Lagoon. To read more about the history of the Lagoon House, click here (http://www.mrcirl.org/about-us/lagoon-house).